Automated Emails can now be sent on a package by package basis. Good news! Check Cherry's Automated Email feature just got a lot more powerful. 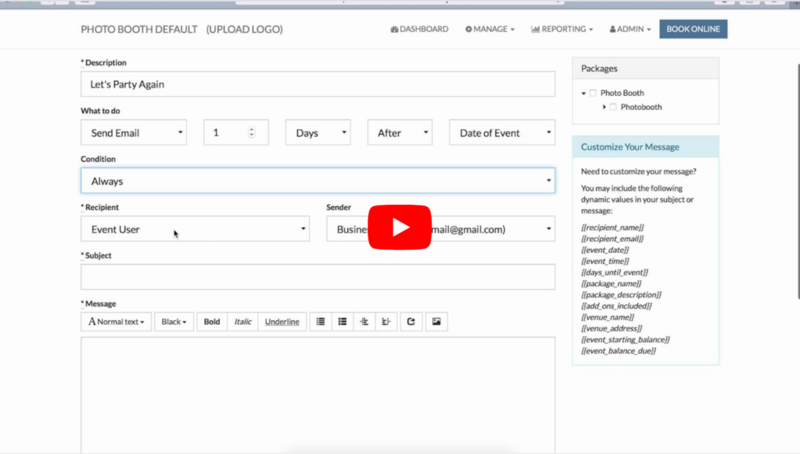 Now you can specify which packages will receive any given automated email. We think this is really going to be handy for those who offer multiple service types. Send a thank you letter 1 day after a photo booth event. Send a request for a 5 Star online review after a wedding event. Send a reminder for any unpaid balances. Send a reminder asking for signature. Coupons can now be applied on a package by package basis. Similar to the Automated Email enhancement, you can now limit which packages coupons can be applied to which packages. More control over coupons will allow you to create attractive deals. For example, you can offer a higher dollar discount on a premium packages while preserving your baseline price point.